We are, once again, at the beginning of the Church’s year (Advent) and being asked to prepare for Christ’s coming. Our Word for the month tells us that if we fix our eyes on Jesus, He will strengthen our hearts as we await His second coming. In today’s Gospel, Jesus declares, “Then everyone will see the Son of Man arrive on the clouds with power and great glory. 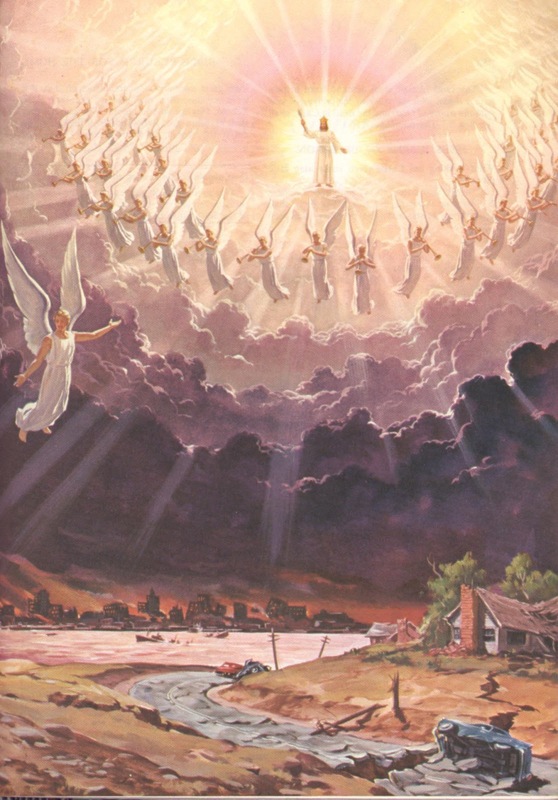 So when all these things begin to happen, stand straight and look up, for your salvation is near” (Luke 21:27-28). Jesus goes on to warn us, “For that day will come upon everyone on the earth. Keep a constant watch. And pray that, if possible, you may escape these horrors and stand before the Son of Man” (Luke 21:35-36). We prepare for Christ’s second coming, when love abounds in us, when we repent and make a return to God; when our words and actions proclaim our trust in Him; when we practice righteous living. Yes, when we live our lives in faith and obedience like Mary, Jesus’ mother. Lord, prepare our hearts to receive Jesus in His humble humanity this Christmas, as You mold us to welcome our victorious Lord in His glorious divinity of His second coming. Amen.